View Matched Runs, activity summaries and sync workouts on the all new Fitbit Ionic. 对不起，此内容只适用于美式英文，德文，法文，欧洲西班牙文，Español de América，荷兰文，意大利文和巴西葡萄牙文。 For the sake of viewer convenience, the content is shown below in this site default language. You may click one of the links to switch the site language to another available language. Fitbit offers some of the most popular fitness trackers around, and our integrations allow you to sync runs, rides and other activities from your device right to Strava. That means you can get all day activity tracking along with the ability to analyze workouts in depth, compare efforts, and connect with friends and clubs on Strava. With the release of Fitbit Ionic, Strava’s integrations only get better, adding Matched Runs right on the device. One of our most popular running features, Matched Runs pulls together all the runs you’ve done on the same route and graphs your progress over time. Most Strava athletes spend 50% of their runs on routes they’ve completed before, making Matched Runs a valuable tool for seeing if you’re trending faster, slower or holding steady. For other fitness trackers in the Fitbit line, you’ll still be able to sync your Strava activities to your Fitbit account and vice versa. Left your Fitbit at home but you’re about to go on a run? 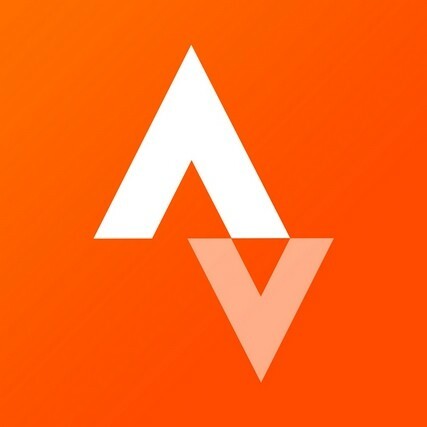 You can still use Strava on your mobile app to prevent any gaps in your daily totals.